Website vs. Mobile. 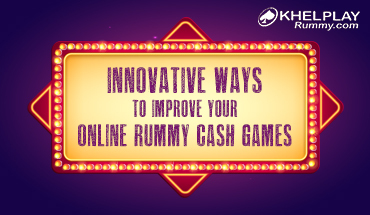 Which Online Platform is better for Enjoying Rummy? We all know that technology is evolving rapidly. Today’s new technology goes out of date tomorrow. That’s the pace at which we are moving through our lives. Such a fast-paced eco-system demands people to be on the move all the time. 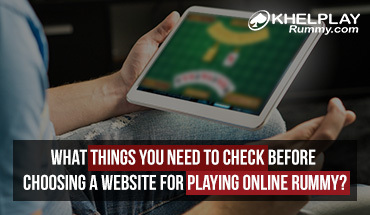 Online Rummy has made sure that people can experience the thrill and entertainment on the go. To compare web-based rummy with mobile-based rummy is irrational. They both contribute to simultaneous linear progression points of the same spectrum. So instead of a direct comparison between both these gaming options, we’ll see the pros and cons of both. This format of the rummy game started in the early 90s and is growing every day with new rummy websites coming up. So what makes it still ticking? Well, for starters, the bonuses that are offered by these host websites. Various bonuses, starting from the sign-up bonus to other special bonus based on the activeness of the users, are provided. Another attractive feature of web rummy game is the incorporation of free real cash. Nothing can beat the feeling of winning hard cash. As long as the gaming experience on the device goes, the bigger screen allows more clear visuals and easy maneuvering of cards. This makes it easy for the new users to play the rummy game. -> Easy navigation of cards. -> Playing on your PC means no outsider to distract or disturb you during your games. -> Higher power consumption when compared to mobiles. The accessibility of the device combined with the easy to use interface of the rummy game makes it the ideal playing device for people on the go. With the recent arrival of fourth-generation network technology, both the speed of gameplay as well as the online connectivity has improved. The handheld device allows the users to have a quick match with an online opponent. The rummy mobile app allows its user to have safe online transactions thereby ensuring the security of its users. In term’s of the gaming experience, the mobile app provides easy to access buttons that allow the player to conveniently navigate the gameplay. Arranging the cards and creating sequences becomes very simple. -> Easy to install and uninstall apps. -> Small screen of the device can make it difficult for the first time user. From accurate analysis of the pros and cons, we can come to only one possible conclusion, which is, sometimes we humans stress too much about insignificant matters like the “Chicken-and-egg” paradox. At the end of the day, it does not matter whether you play web rummy or the mobile rummy. It’s about playing the rummy game in the device that suits you the best. Both devices has its own pros and cons. If you want the best of both worlds, then play the mobile version during the weekdays and the web-based version during weekends. These two devices is not going to be the end of rummy game. The next advancement is almost at the doorstep. The rummy game with VR is going to take the online rummy game to the next level and be sure you are with us to experience it. How to Deduce the Skill Level of your Opponent? 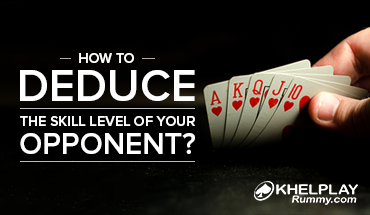 How Do You Become a Good Cash Rummy Player?